If you are or you have been bullied then you will no doubt be experiencing hurt on both a psychological, emotional and even a physical level. If your are a victim of bullying then you should not have to handle it all on your own, you should not live your life in fear so make sure you talk or confide in somebody. Always seek out support or help from those close to you, some one in authority or pay a visit to discuss it with your doctor. Even if nobody listens to you or helps you at first be persistent and never give up until you find someone who will help. Because if you do not talk to anybody or report the bullying then no one can help you, everybody needs support at time in their lives, taking the first step can be tough but it is essential especially as bullies thrive on you being to scared to take any action or speak up. The bully does not like to be exposed as a bully and they don't like repercussions like being reported and the fear of being labelled and tagged a bully. You will find that most bullies often threaten their victims that if they tell anybody they will harm them and they rely on the fact that most victims are to frightened and intimidated to take it any further. Do not feel ashamed or embarrassed to tell somebody, you are not weak so there is no need for you to feel ashamed or angry with yourself, although you just want it to stop you cannot carry on ignoring the situation. If you do threaten to speak up and they call you a tell tale don't let that put you off, often a bully will use words like snitch just to keep you quiet and remember that's exactly what they want you to do. You must not suffer or endure acts of intimidation, verbal abuse or even physical violence in silence because if your being bullied then you will already probably be at a low ebb, you may feel weak, vulnerable and depressed which will make it even harder for you to cope with an already very difficult situation let alone stand up for yourself. Some bullies are discreet and sneaky, they might be picking on you when no one else is around. The more it goes on the more miserable your life will seem, long term bullying can also take it's toll on your physical health and emotional well-being. Although the bullying is unacceptable and needs to be dealt with immediately, you also need to develop your own inner courage as well as focusing on developing your self confidence, because even long after the bullying has stopped you may still have emotional issues that you need to address. Never allow the mindless to define who or what you are, you must never think or accept that your worthless, stupid, overweight, an idiot or what ever other names they are calling you. There is absolutely nothing wrong with you, if they were not saying these names to you then they would be saying the same ones to someone else. If you accept what their saying about you then your handing over the power and control to the bully. No one should have to change who they are just to conform to others and fit into their ways, be brave and proud of yourself, stand up for yourself and do something with your life so you can prove them all wrong. Sometimes people are picked on because they stand out from the crowd or because they are shy or even intelligent. But there is nothing wrong with being different, it would not be a very interesting world if we all wore the same cloths, everybody looked the same and we all had the same interests, character and personalities. Bullies if you allow them too will use fear and intimidation tactics to torment you and bully you into keeping quiet. Once you become the victim to the perpetrator, then they probably won't stop until you take some form of action or you move out of the environment they frequent. Only you must define yourself and nobody else, you decide how you wish others to perceive you. Look for ways to feel good, make it your number one intention to feel good emotionally as well as starting to feel good about yourself, you are unique and special so never allow the opinion of others to rob you of that. Only use positive and encouraging self talk about yourself and avoid at all costs self blame or self hating. It is not your fault if you are being bullied so do not be hard or critical of yourself. When you get bullied or if people say harsh and nasty remarks it can cause you to turn on yourself, this can result in you repeating the comments and negative suggestions to yourself, you may then look for further evidence to re-enforce these untruthful beliefs. You must not buy into these comments because you are certainly not a losers or worthless, in fact you are a much better and more intelligent person than the bullies, you did not ask to be treated this way and there is no justification for it what so ever. If you can try and avoid the bully, if that's not always possible and they do confront you stay calm and try and walk away, if they are persistent then go and see if you can get help. Stay strong, if you can ignore them or show them your not bothered and you don't react to their nasty slurs on your character or their actions they take then they will sometimes get bored. In some cases when they cannot get any reaction or make you feel bad they will soon lose interest and move on. If they do physically attack you either run away or try and defend yourself as best as you can. 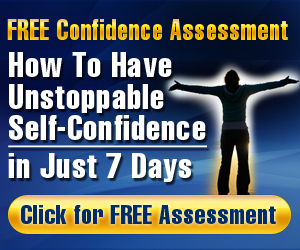 It will pay you to learn how to become more assertive as well as giving your self esteem a much needed boost. When we feel good and we have a healthy level of self esteem then we can handle difficult situations so much better. If you become more self confident in yourself then others will give you less hassle. Only focus all the good things about yourself, you can write them down on a piece of paper. Many people may have advised you to stand up to the bully, however this is sometimes more easily said than done especially if you are out numbered or the bully is considerably more physically stronger and bigger than you. If you can laugh it off then that may help, some bullies are just looking for a reaction. If that does not work seek help, the worst thing you can do is too do nothing, when you do nothing you're giving the bullies a free role to pick on you. Try and mix with good people especially those who have similar interests or hobbies as you, try not to go places on your own, you are less likely to be picked on if your in a group. Join a martial arts or self defense class, it can help build your confidence as well as helping you to become more assertive and more able to stand up for yourself. If people know you do martial arts then they will think twice about picking on you. If you are being verbally abused by text messages or social networks don't get emotionally involved in the nasty and untruthful messages, the saying "stick and stones will break my bones but names will never hurt me" is far from the truth. Words are very powerful, they can be more harmful than physical pain because emotional pain takes a lot longer to heal, but words can only hurt you if you think the statements are true or deep down they strike a cord with what you believe about yourself. We tend to think that what other people say about us must be true, change the way you perceive yourself and do not get drawn into the slurs and remarks, when you love and feel good about yourself you can laugh at their pathetic attempts to upset and undermine you. The people who are sending these comments are cowards who can hide behind a screen anonymously, they are the ones with something wrong with them not you. Sometimes when we are at a low place we need the courageous and brave inspiration of others who have come through a similar type of situation. Because out of all hardship and struggle we have the strength and coping mechanisms to grow stronger, the video below falls into that category. Do not allow the opinions and actions of others to make you think anything less of yourself, the bully loves to provoke a negative reaction, learn to love and approve of yourself, when you love and respect yourself you will find out others like you to. You must not let the bullies get into your head, reject and dismiss all their nasty remarks and unpleasant suggestions and stay mentally strong. The extract below is a comment I came across at the bottom of a you tube video. It demonstrates how you can allow the perceptions of others to become a self fulfilling prophecy for you. "I love the effort you people have put in this video.. I too, have been bullied and till today I feel extremely bad about myself. Almost everyone ignores me, they secretly hate me, and look at me like I am the ugliest person on earth and that I have no right to do what I want. I have been called many names, and I don't like any part of it. I still look at myself like I am the worst person. I don't like myself ". In the hit law of attraction film the secret one section of the film dealt with the issue of bullying. The person in the film was being constantly bullied at his place of work, he would spend all his day thinking and focusing on being bullied and the people who were bullying him. What they told him to do was to stop thinking about being bullied, this may or may not help and it can be a hard thing to do but it is well worth a try. Some people will not agree with this film, but if you delve deep into the mind of the victims of bullies you will discover a lot of them have insecurities about themselves and a low self esteem and self worth. Of course the affects of bullying will damage the confidence of the victim and it is debatable subject, but sometimes it does appear that what others are saying is a reflection of what we think about ourselves, the video is well worth a look at, the part about bullying is nine minutes in and it my relate to how you think about yourself. Stop Bullying In Three Days!